A new mark for one of the UK’s largest networks. Channel 5 is many things to many people. As one of only five terrestrial channels in the UK, it reaches 45 million people each month. It has a huge following but has skewed down-market over the last several years. 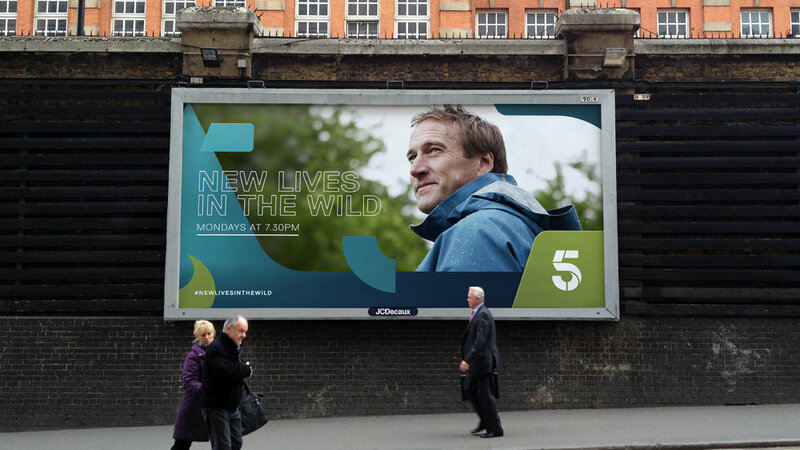 With a recent acquisition by Viacom and a flood of premium acquired and original content, Channel 5 wanted to shift gears and to reposition themselves as a more up-market, aspirational destination, without losing touch with its roots as a brand for the people. The new mark does a lot of the heavy lifting in communicating the brand shift. It speaks to a brand made up of distinct components and varying traits. Each piece is unique but the whole is authoritative, playful, modern and balanced. And it has a twist, literally and figuratively.